The card itself is that little gold&red card. It’s supposed to be the fastest available in the MicroSDXC format and also has the largest capacity I have seen to date. So, to test at least the speed part I subjected it to some tests using an USB3 reader on my PC and using my new TF701 tablet. The official specifications can be found over here. The official ratings are ~80MB/sec read and ~50MB/sec write for the 32GB or 64GB version. I am testing the 64GB version. The 16GB version manages ~80MB/sec read and ~30MB/sec write. Copying some files from my SSD to the MicroSDXC card. ~55MB/sec continuously is definitely very nice. 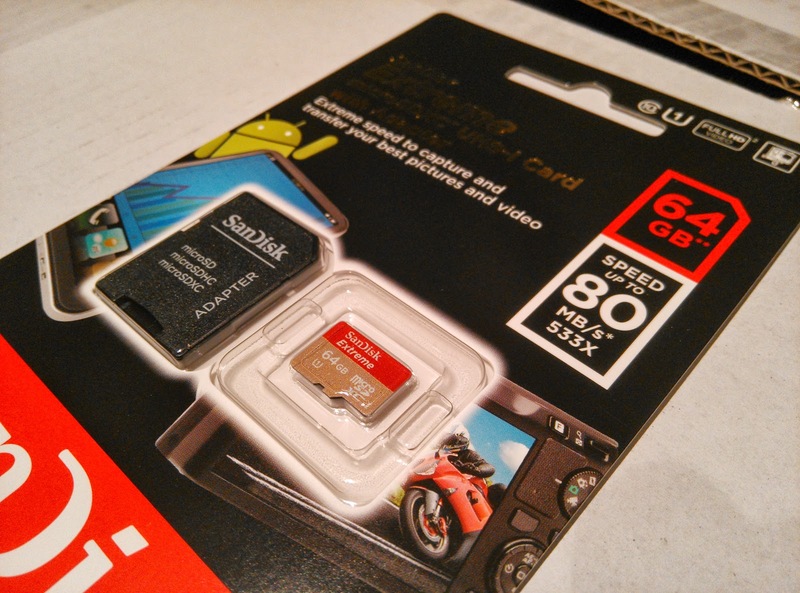 No more slow 6MB/sec SD card! 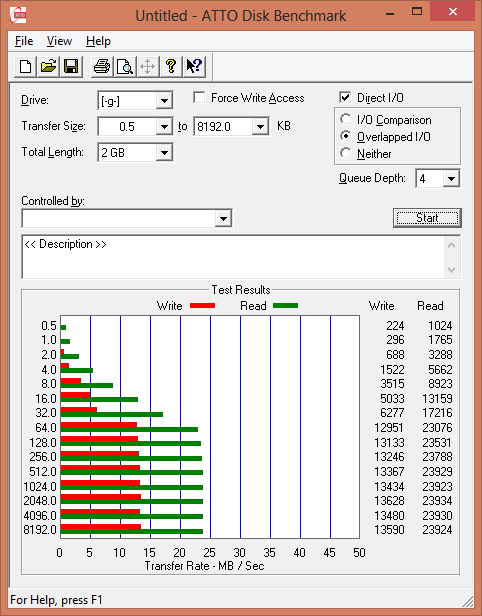 ATTO Disk Benchmark confirms the results. About 95MB/sec read and 60MB/sec write. Here you can also clearly see that the card has been tuned to read and write large files, perfect for in camera’s, etc. The above tests where all sequential, and they are confirmed in this benchmark. But this benchmark also does 4K random and 4K random with a queue depth of 32. 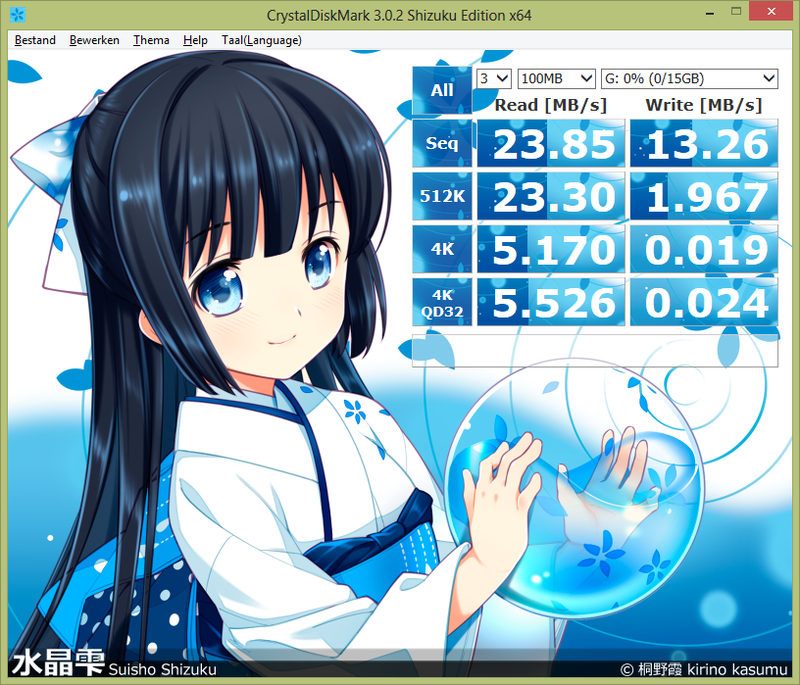 And while these certainly are not SSD quality results, they are still better then what a mechanical HDD would achieve. This is how I received the card, it’s formatted using exFAT which makes files above 4GB are possible and most recent mobile devices should support it. I do believe the large cluster size is again for tuning large data transfers and if your application is different it should probably be lowered. This card was specifically purchased to be used in my Asus Transformer Pad TF701 and so I also ran some benchmarks with it. Often, mobile devices are unable to use the full speed of the card but since this pad has the newest NVidia Tegra4 processor and other hardware I’m hoping to see some good speeds. 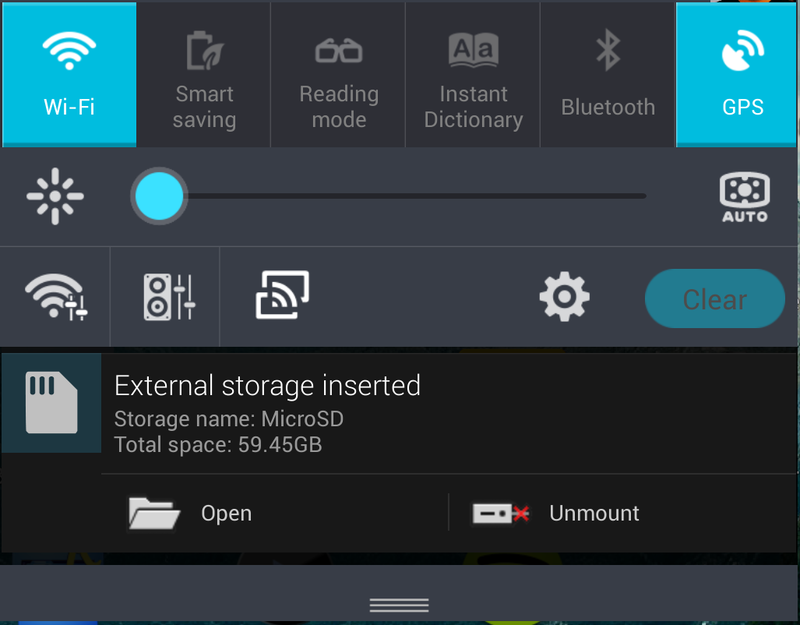 This is using an Android app called A1 SD Bench, the value for SD card is for the MicroSDXC card. 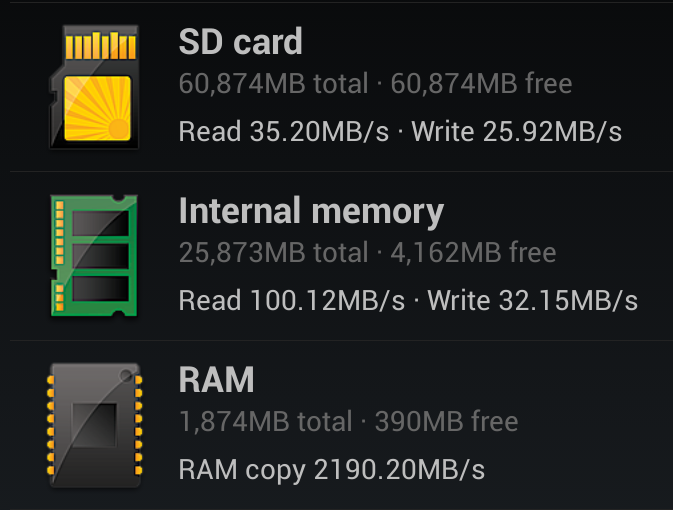 It varied a bit but both read and write where on average around 30MB/sec which is quite good for a MicroSD(XC) card! I am quite happy with these results! Most of the time the results in tablets or phones are (a lot) lower. And although we aren’t achieving the full PC results of the card, I personally have never seen this high results in an Android device. And while the internal memory is still faster, it’s close. Checking results others achieved in the app it also confirms that this card (and tablet) is doing ver well! So there you have it, a great card, and while certainly not cheap, I believe the performance and size but also the ‘investment’ in having this fast a card now instead of having to replace it in 2 years time because I need the speed then is worth the ‘high’ investment. I bought the card here in the Netherlands at DataIO. A great webshop which has it’s own stock and offers the best prices, quick handling and cheap shipping. I paid 84 euro’s for the card. I did run some of the same tests on a different 16GB MicroSD card I had to see how much the results would differ. When I bought this card a few years ago it was also a card with high specifications for it’s time. Sequential is fair, but anything else, especially random write performance is truly horrible. That’s an improvement of around 162x! If you wish to use the stick for anything else then storing large files such as running a linux install or anything of the sort this old card isn’t it! Do yourself a favour and buy a new SanDisk Extreme version! 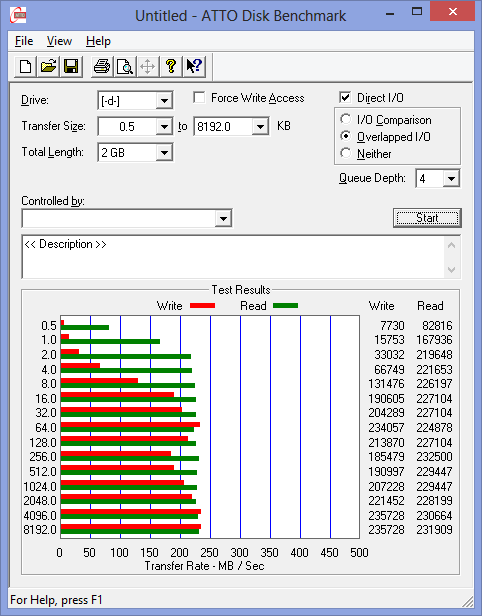 For comparison purposes I have also included some results using 2x 1TB 7200RPM disks (recent 2.5″ versions) in Raid-0 using my onboard Haswell Intel controller. The disks are about half full while running these benchmarks. 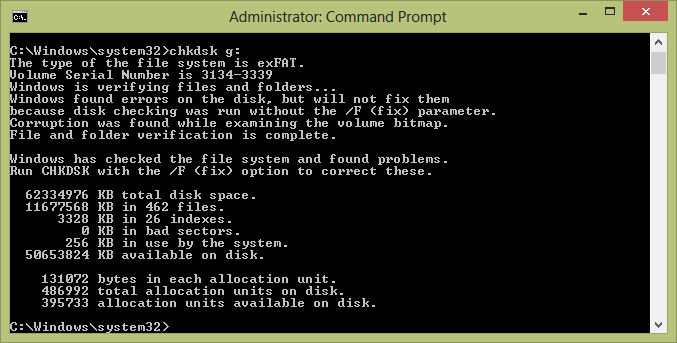 Mechanical disks become slower at end of the disk. 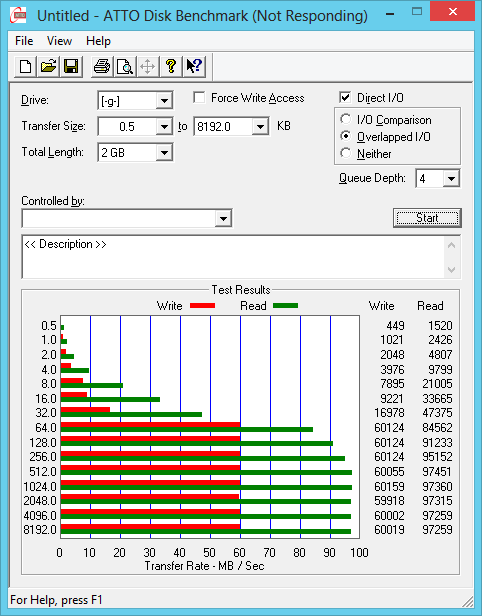 Sequential results are very good as expected, each disk can easily do 120MB/sec so both together (even half filled) can still push 200MB/sec+ with large enough blocksizes. Again, great sequential results, but the random results are fair at best. But, this is how it’s always been with HDD’s and that is primarily why we now have SSD’s. But the interesting part of these results is that random read/write is slower then the new sandisk MicroSDXC card! All in all we can conclude that the new MicroSDXC card is about as fast as a modern HDD, both in Squential read and Random read. Sequential write is a bit slower at 60MB/sec but Random write is again faster then a mechanical drive. Very good results and I am very satisfied with it, it comes with a price tag, but in 2 years time, the cheap cards will also read these speeds. Sadly there is no trim support in the SDHC or SDXC specifications I believe so it might be advisable to full format your cards after using it for a year for instance. This will revitalize the performance back to as it was when it was new. Hey, thanks for this informative write-up; quite thorough and concise. 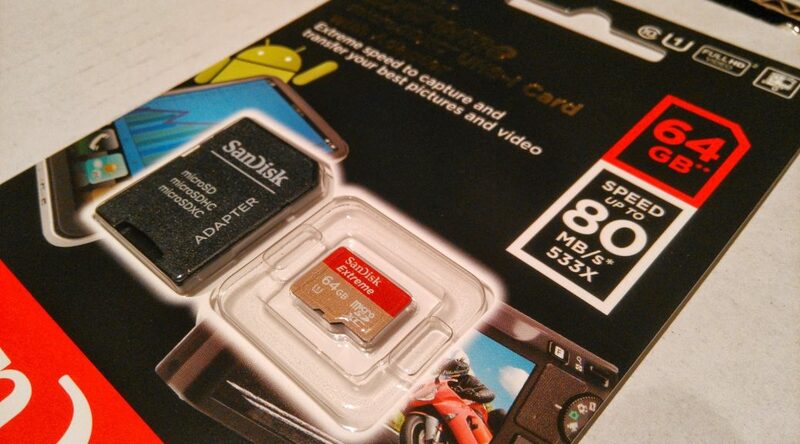 It's interesting how far MicroSD cards have come in just a few years. I must be old, I still think they're pretty tiny. I also appreciate your benchmarks for the ASUS TF701, since I'm considering purchasing one myself. Seems like some of the concerns with previous ASUS TFs have been addressed. There doesn't seem to be too much 'hard-info' concerning this device just yet. One question: what is the 'typical' battery life for the TF701. Anyway, thanks for the info, nicely done. I tried the 32 gb version in my new Asus T100 tablet and only got a sad 23 MB/s sequential read and write. Tried in my macbook pro and got 80 read and 11 write. Not all card readers are created equal I guess.